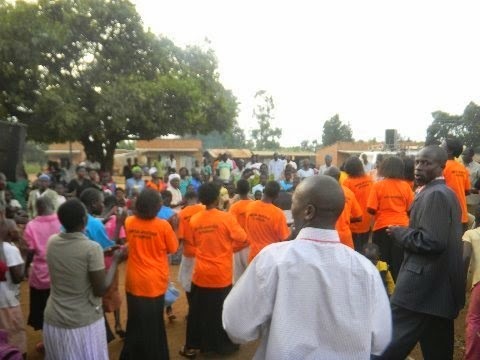 It has been several weeks since we have been able to write you and share the Good things God is doing in Uganda. We have been under the weather for a few weeks, had the All Africa Regional Meeting in Kenya and then have been running trying to catch up with all the things we are doing. The All Africa Regional Meeting in Nairobi, Kenya was an great time of getting together with the Leadership of all the Nations of Africa and some great teaching from Bro Woodward from Fredricktown, New Brunswick, Canada. 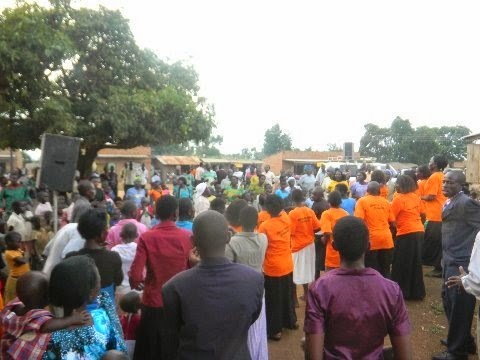 In the last several weeks, the Revival continues in Uganda as we are teaching Apostolic Doctrine Seminars and reaching to new Pastors and Churches. In the last five weeks in five doctrinal and Evengelism Seminars we have had 202 Receive the Holy Ghost, and Baptised 84 in the Name of Jesus. Several great miracles occurred as God was moving in the services, One lady had been bitten by a snake as she was working in her garden, but still came to service even tho she was in great pain, she was instantly healed. 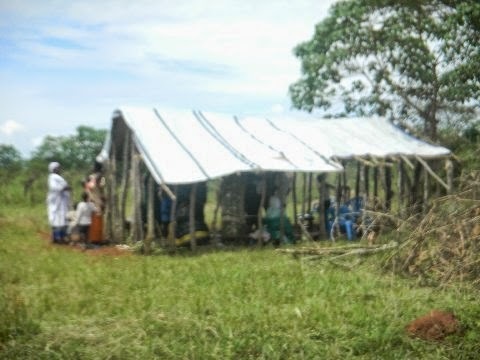 To show the power of God, a neighbor was also bitten by a snake the same day and died the next day due to the bite. In these seminars as we teach Apostolic Doctrine we have many other pastors who attend looking for truth and fellowship. 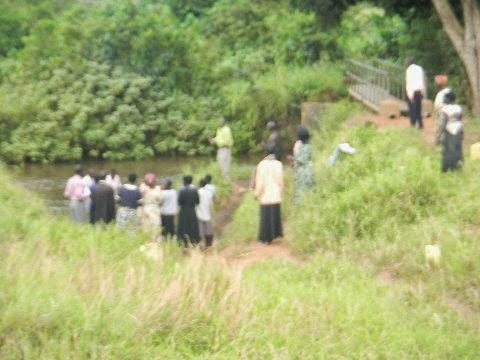 Six trinitarian pastors where baptised in Jesus Name as they received the truth of Baptism. Several more are seeking truth and studying the scriptures. All six churches have now joined us in the United Apostolic Church and are being baptised by their Presbyters and Area Overseers. God is moving on many hearts as there is a hunger for something real from God! 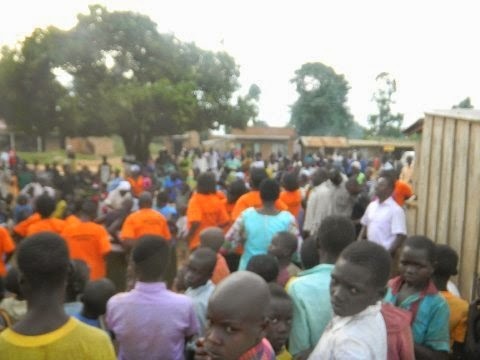 We have finished the purchase of the land in Lira Town for our Church Building and center for the North, we thank all those who have contributed and helped us with this great task. We still have a need to finish our land purchase in Fort Portal on the western border with Congo to have our Regional Headquarters. If you are able to help us, it would be greatly appreciated. There is a building on the land plot already what would make a great beginning for a Church House. 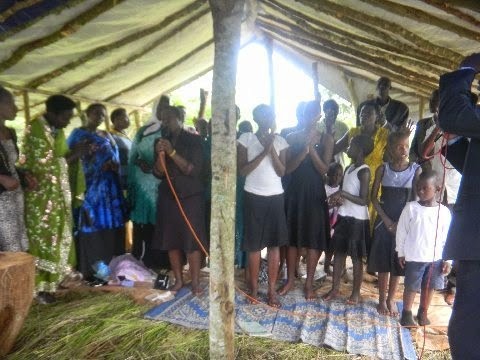 The project number is 103.FA.033215.21.2112.-114 Country Churches in Uganda. Please see the picture below. One of our goals is to create a spirit of Revival and Evangelism with the Truth of God's Word. 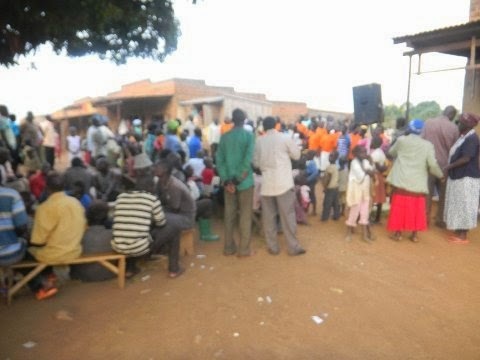 So at each seminar we also have Open Air Crusade Services (Street Services). 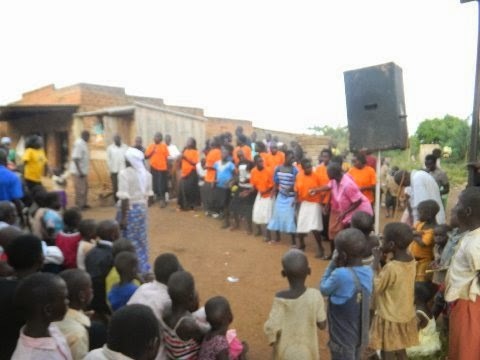 This past weekend we were in the Lake Albert Region, just on the side of Lake Albert by Congo in Kapaipi, where we saw a great move of God, pictures below are of the Open air from Kapaipi. 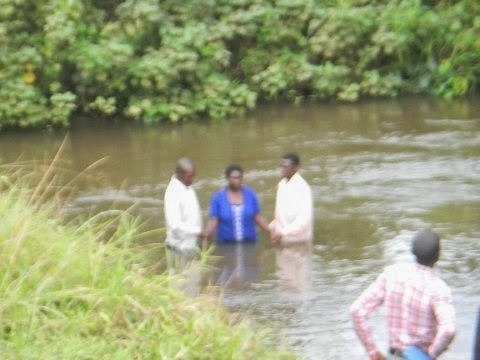 It was also a privilege to go to Kynjojo to a church that has just started, Tarp roof, and wood stakes, but God was there in a special way and we baptised the Pastor, Mfitumukiza John, along with eight members; they were so excited to be part of the UACU. May God Bless all of you for your faithfullness in prayers and financial giving, it makes it possible to reach to unreached and preach the Gospel of Salvation. 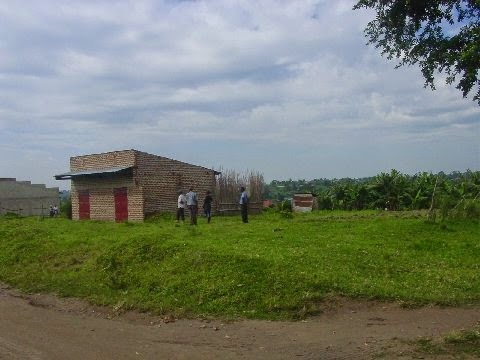 Plot of Land we need help to purchase in Fort Portal, we are renting the building to have church at present.